Photo portraits of Vermont Agricultural Hall of Fame honorees are displayed in the entryway to the Robert E. Miller Expo Centre South at the Champlain Valley Exposition. 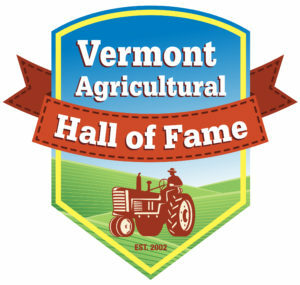 For more information about the Vermont Agricultural Hall of Fame or to nominate individuals for the 2019 event, please contact Jackie Buttolph at jbuttolph@cvexpo.org. You can also nominate someone by filling out the online nomination form by clicking one of the buttons to the right.